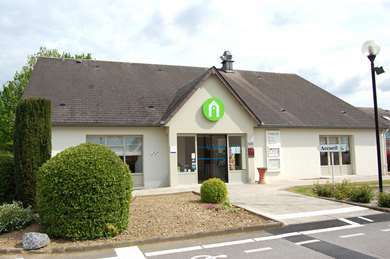 Are you planning to stay in Picardy and looking for a hotel? Campanile offers you comfortable rooms and tasty treats at the best price! For a weekend getaway, visit Beauvais to see the tallest of the great gothic cathedrals that were built in medieval France. Planned as the greatest cathedral in France, Beauvais cathedral was never completed, but the part that was built (the choir and the transept) is extremely impressive. 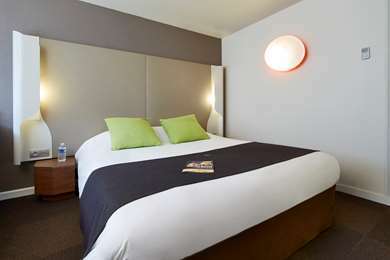 For an enjoyable stay, book your weekend at the Hotel Campanile Beauvais ! With a few more days to travel through Picardy, you may want to visit Laon, an attractive old-walled city perched on a hilltop overlooking the surrounding plains. It is home to a fine, early gothic cathedral (1150-1180) with remarkable stained-glass windows. And in nearby Soissons , you can relax surrounded by medieval history. Visit another gothic cathedral with fine stained-glass windows. The Hotel Campanile Laon and Hotel Campanile Soissons will be glad to meet your every need. Chantilly is a perfect place to explore with the whole family and stop by the Hotel Campanile Chantilly. In the heart of green surroundings, amidst many of the Oise's tourist sites such as the Château de Chantilly, the Living Horse Museum and the Abbaye de Royaumont, the town has many cultural attractions. The town is home to a magnificent chateau that was rebuilt in the 19th century. The chateau houses a museum and is set in fine gardens and parkland that includes a famous racecourse. Chantilly is also close to Parc Astérix, offering fun and excitement for the whole family! Picardy is connected by train to Paris, Lille, Calais or Boulogne. Beauvais has an airport with direct low-cost flights from the UK. Otherwise, Paris Charles de Gaulle (CDG) airport is just a few kilometres from the southern limits of the Picardy region. The A16, the A26 or the A1 motorway will connect drivers to Picardy quickly from the Paris region. The Picardy region makes the most of its landscape with a wide variety of delicious foods made using fresh, local crops. Traditional Picardy markets offer gourmet products like pâté de canard (paté en croute) from Amiens or the Flamiche leek pie. Don’t miss the famous Chantilly whipped cream from the town of Chantilly, and gâteau battu – important features of Picardy cuisine. In April every year, the Festival of Birds and Nature offers activities for bird enthusiasts, including birdwatching in the Somme Bay. The Rose Festival takes place in the lovely medieval town of Gerberoy, considered one of the most beautiful towns in France. The 3-day Fêtes des Bouffon features music, dancing, parades and entertainment in Saint-Quentin. If you’re a cheese lover, head to La Capelle in September to discover thousands of cheeses, yoghurts and other dairy products. The song Roses of Picardy is a ballad written during World War I, the name of which was used as the title of a silent British film in 1927.